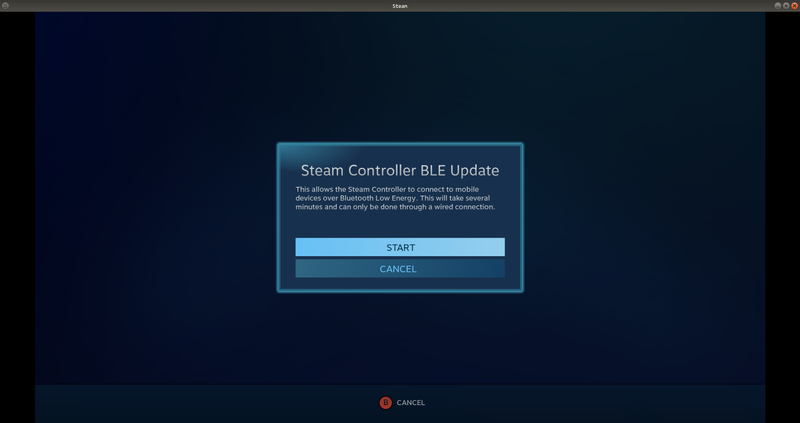 In preparation for the upcoming Steam Link app release, the Steam Beta Client has been updated with support for the Steam Controller using a Bluetooth Low Energy (BLE) mode. 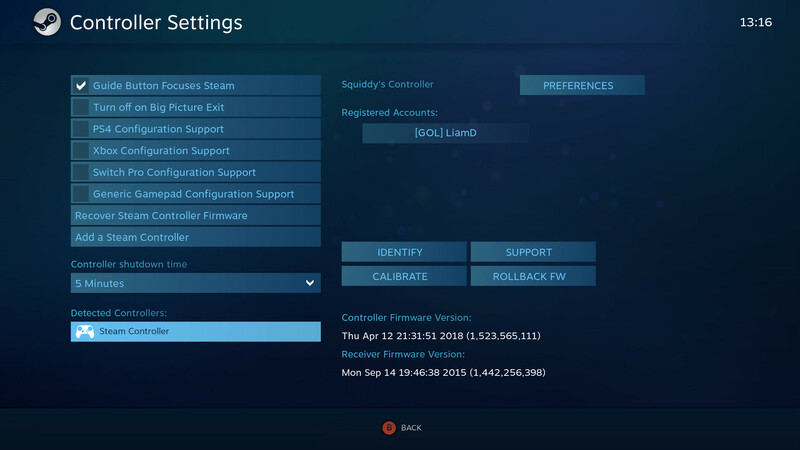 Enabled the Steam Controller BLE FW Update, for more information visit here. 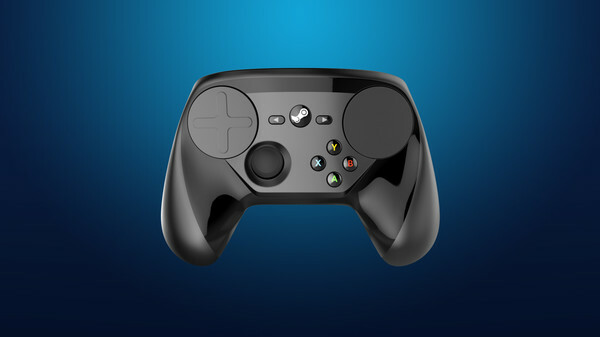 Diving into more detail in another post, Valve explained the new Steam Controller functionality. 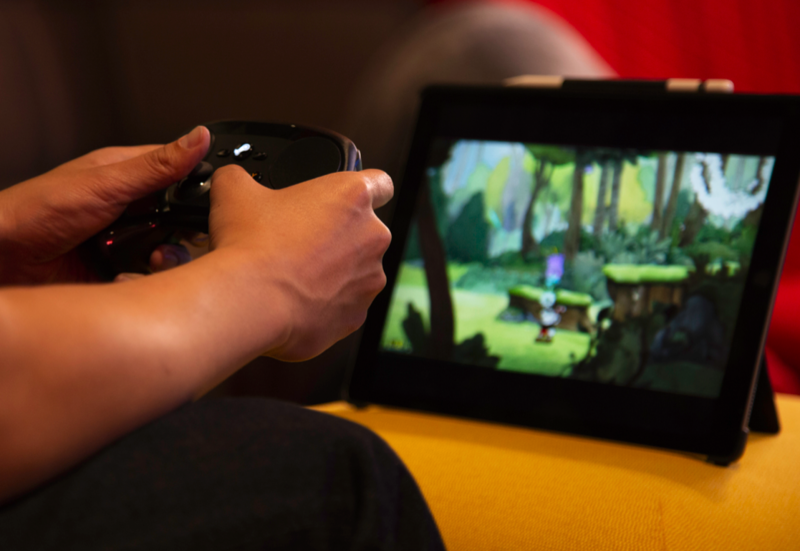 It's interesting, because it won't just enable the Steam Controller to link up with Android and iOS devices for the Steam Link app that's coming. It will also allow you to link it to say, a laptop, where perhaps you have no USB ports free for the wireless receiver or if you've broken/lost it. 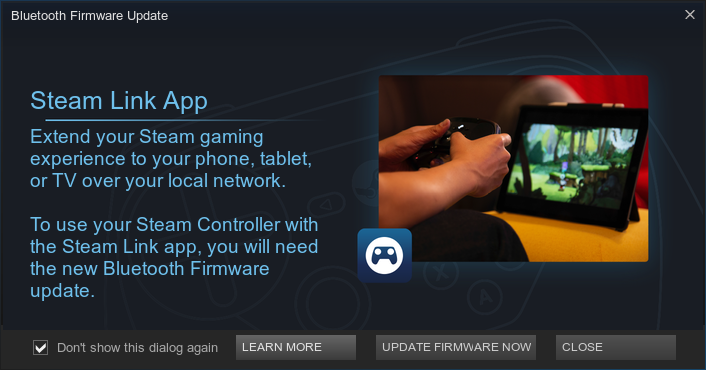 It does require a firmware update for the Steam Controller, which is a simple process. When you load the Steam client from the latest Beta, it will come up with a prompt with a button to update when you turn your Steam Controller on. Warning: You will need to pair your Steam Controller again as this wipes it. The process is a little dumb right now, as soon as I plugged the wire into my Steam Controller that window just vanished. Thankfully, Valve have thought about that and so there's this page which includes a link to force the update. 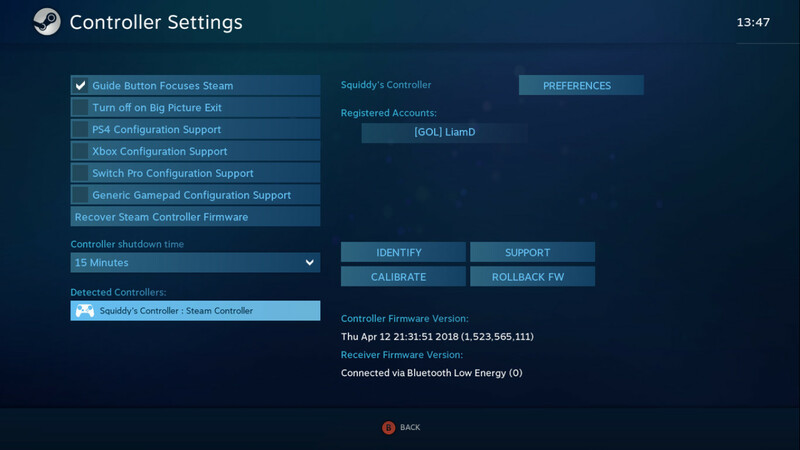 Once done, you can switch between the modes easily when turning the Steam Controller on. Simply hold down the Steam Button + A for the normal wireless mode and Steam Button + B for BLE mode. Switching it between modes to test between my desktop and my laptop worked perfectly too. Connection on both was instant. Seems like this is going to make the Steam Controller quite a lot more useful. Good stuff from Valve here, really nice to see them continue to improve their hardware. Thanks for the tip, pepster! Nice update but I'm still waiting for the experimental rumble support on linux. So, to clarify, do we need to press the steam button AND A (or B) every time we turn on the controller, or just when wanting to switch modes? buckysrevenge So, to clarify, do we need to press the steam button AND A (or B) every time we turn on the controller, or just when wanting to switch modes? As mentioned in the article, that's for switching the mode, which you do while turning it on. Does it in any way disturb sc-controller from working? sc-controller is much less bug-ridden than the steam driver and it is much more powerful too. I mostly use it for my steam games instead of steam native support. Patola Does it in any way disturbs sc-controller from working? 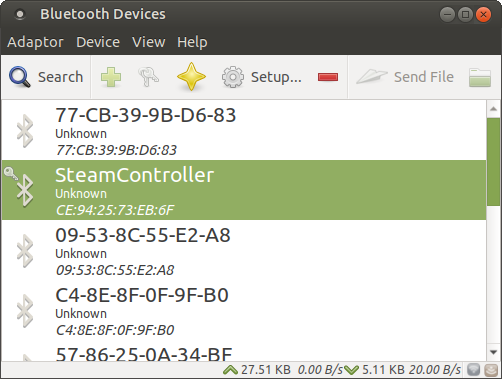 sc-controller is much less bug-ridden than the steam driver and it is much more powerful too. I mostly use it for my steam games instead of steam native support. It shouldn't get in the way at all, as long the Steam Controller is connected in the normal mode. Agreed: it shouldn't. But I guess it could. I prefer losing all my steam controller configuration on steam than in sc-controller (and I customize it for every game, no less). So if anyone has tested sc-controller after the firmware update, please let me know!!! I just tested, works as expected with SC Controller.